The Tamil Nadu Government has started confiscating properties of late Chief Minister J Jayalalithaa and VK Sasikala, Ilavarasi and VN Sudhakaran, the accused in a disproportionate assets case. Contrary to the popular misconception, it is not confined to the quantum of a fine imposed on the four accused, Rs 100 crore in the case of Jayalalithaa, and Rs 10 crore each in the case of the other three, by the Bengaluru Special Court judge John D'Cunha. 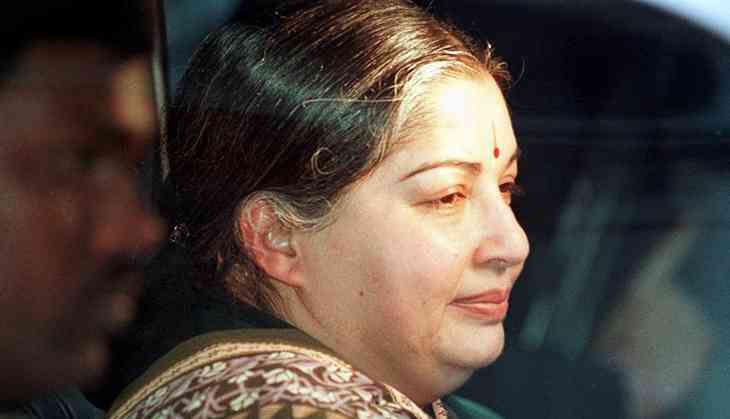 The trial judge had held that the four had acquired assets disproportionate to the known source of income to the extent of over Rs 55 crore, during 1991 and 1996 when Jaya was the CM and was drawing a token monthly salary of Re 1. The trial court order of September 2013 was overturned by Justice Kumaraswamy of the Karnataka High Court in April 2015. While quashing the high court’s verdict, the Supreme Court upheld the trial court’s order of conviction. But it also said the case against Jaya has abated following her death in December 2016. It also rejected Karnataka’s petition for a review of the abatement order. According to Karnataka special prosecutor BV Acharya, Justice Kumaraswamy had not only overturned the conviction of the four but also set aside the fines imposed on them by the trial court. The apex court has only restored the trial court’s order in regard to convictions and imprisonment the four accused – four years in the case of Jaya and three years each for the other three, Acharya pointed out. Talking to Catch, Acharya added that this does not bar the state government from confiscating assets acquired by corrupt means by all the four, including Jaya, as they were all held to be co-conspirators and were liable for action under the Prevention of Corruption Act. The apex court had also held that Jaya, a public servant, was the main culprit and the other three were only benamis of her's. The Directorate of Vigilance and Anti-Corruption( DVAC) had attached 128 properties in 1997 when it registered the case. Of these, only 68 properties are held to be disproportionate to known sources of income and acquired during the check period and are now sought to be confiscated by the State. The trial court had said bank deposits and a cash balance of the four should be appropriated. If they fell short of the fine amount, gold and diamond jewels attached should be sold to the State Bank of India or Reserve Bank of India or through public auction. The rest of the gold and diamond jewels should be confiscated by the state government, said the trial court. It further held that all the immovable properties registered in the names of Lex Property Development Ltd, Meadow Agro Farms Pvt Ltd, Ramaraj Agro Mills Ltd, Signora Business Enterprises, Riverway Agro Products Ltd and Indo-Doha Pharmaceuticals which have already been attached, should be confiscated by the state government.